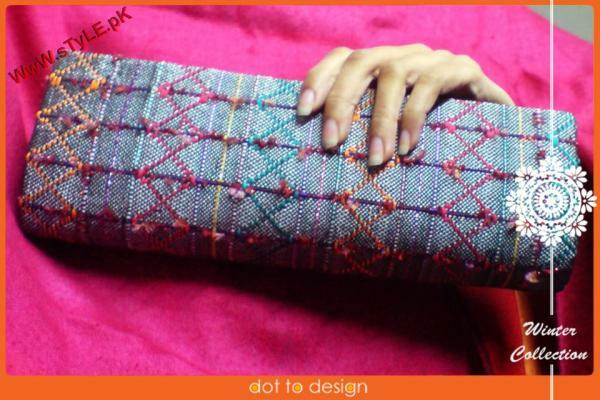 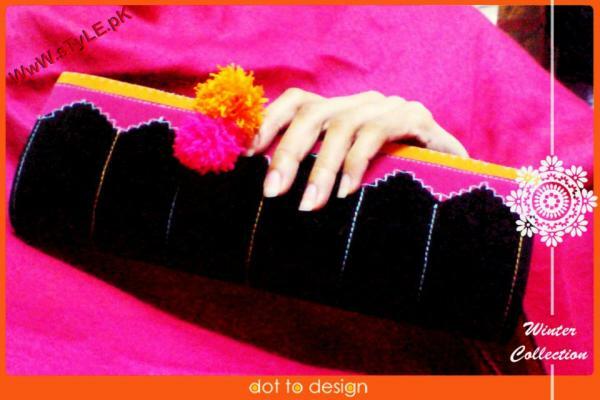 Hk-Dot to Design has introduced recently their winter arrivals included handmade clutches for casually and formally use both.Hk-Dot to Design is very famous brand offering clothes, foot wears, clutches and accessories in a trendy style and according to their customer’s need.This collection of fancy clutches by Hk-Dot to Design are totally very artistic and this collection called as a winter collection 2012 too.Hk-Dot to Design’s each piece is totally hand weaved and perfect for you and will suits with your style..Stay a bit and just check out here this attractive and beautiful clutches by Hk-Dot to Design..
Hk-Dot to Design Fancy Clutches 2012. 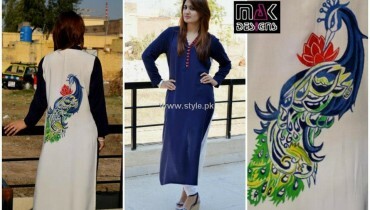 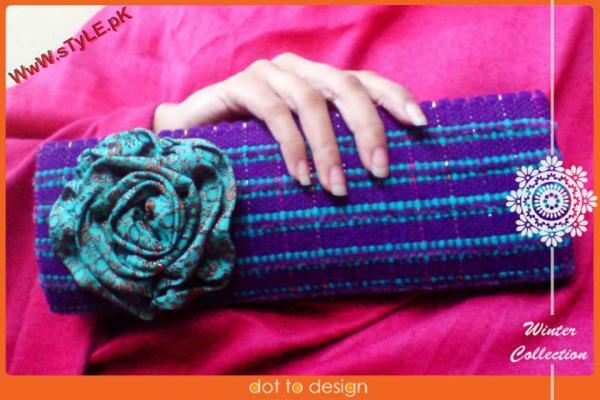 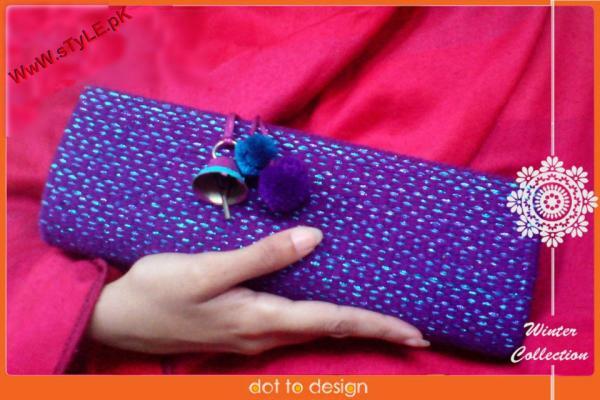 Winter Collection By Hk-Dot to Design. 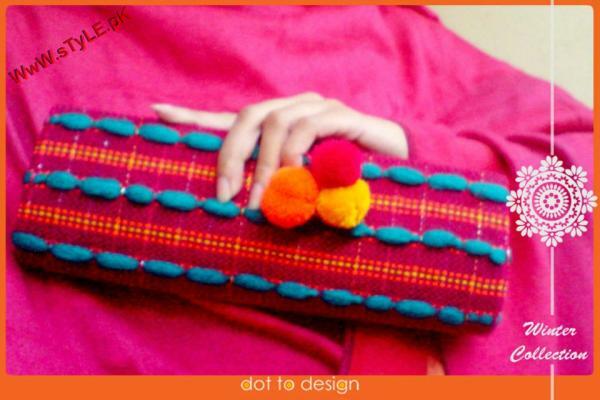 Hk-Dot to Design Latest Arrivals 2012. 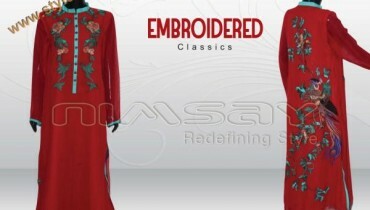 U have lovely collection. 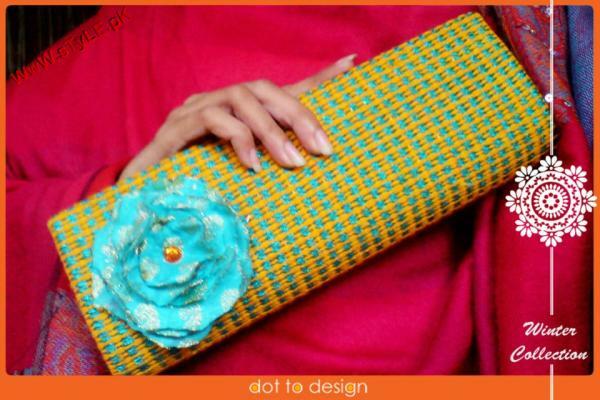 Could u plz let me know how to buy ur dresses n clutches n prices I look forward to hearing from u soon.